Upgrading to NativeScript v1.3 from earlier versions. Make sure you are NOT running Node v4.00; The current v4.00 version of Node does NOT work. 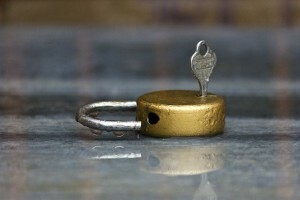 If you need to downgrade node, I recommend you grab the latest version of Node v0.12.x from https://nodejs.org/download/release/latest-v0.12.x/. If you are already running node and it is working for you; you don't need to upgrade it. This note is just to make sure you DON'T upgrade node to v4.00. Next thing if you are doing anything with Android; you want to do is type "gradle --version" and see if it runs. If it doesn't run from the command line you need to either install gradle or set your path to use it. If you have Android Studio installed; gradle is including with Android Studio, so you don't have to install it again. For example on my Windows machine; my gradle is located at: C:\Program Files (x86)\Android\android-studio\gradle\gradle-2.4\bin. So I added that to my path, so now gradle can run from anywhere. If you are using Ubuntu, the version included is really old and you will need to install a ppa from: https://launchpad.net/~cwchien/+archive/ubuntu/gradle Then you will be able to do a sudo apt-get update && sudo apt-get install gradle and get a much more recent version. On a Macintosh, it is recommended you install brew, and then do a brew install gradle. You can alternatively download and install it directly from https://gradle.org/. You must be running at least v2.3 of Gradle. The next thing you need to make sure is that you have your ANDROID_HOME and JAVA_HOME environmental variables set. If you don't have them set you will get error messages about these needing to be set. On Windows you can do echo %ANDROID_HOME% %JAVA_HOME% to see if they are set. On Macintosh and Linux you can do echo $ANDROID_HOME $JAVA_HOME to see them. So, now that you have your environment all setup; we need to upgrade the NativeScript Command Line utility, first. This is very important, before you even attempt to upgrade the platform modules you MUST be running the new version of the NativeScript CLI. The easiest way is to do a: npm remove nativescript -g Yes, we want to de-install the current version; trust me it is easier this way. You can do a in-place update; but the times I tried it it threw errors; and I had to do it a couple times to get it installed. So, it is much easier just to de-install it. Then you just type: npm install nativescript -g to re-install it. The next piece you need to do is upgrade your platform. Before you upgrade; you will want to make sure you backup any changes you made in the platform folder as both methods can overwrite the project files. You can do it one of two ways; my way or the simpler way. Telerik recommends the simpler way; you do a tns platform update android or tns platform update ios. In most cases this works great. However, in some of the past updates it has left you with a broken platform and then you still had to do it my way to fix it. So rather than have the chance that you will get a broken platform, I of course will recommend my way. My way is the nuclear option! tns platform remove android and then tns platform add android. I remove and then re-add back the platform. Now, this will totally DELETE your platform/android or platform/ios folders. So if you made any customization to your project files; I'm going to re-stress this -- you will want to back them up first. The final piece is updating the common core tns-core-modules; in past versions of nativescript this was a bit of a pain to upgrade. No more, it is now very simple! The first thing you can do is just totally delete your app/tns_modules folder. It is not used any more, totally ignored and now a waste of disk space. Then you just type npm install tns-core-modules --save from inside your root project folder. This will install the core modules in the node_modules folder like any other nativescript plugin. So now in the future you can do a simple npm update tns-core-modules and have the latest version. And you should see it confirm everything is good to go... Happy hacking on your NativeScript application. 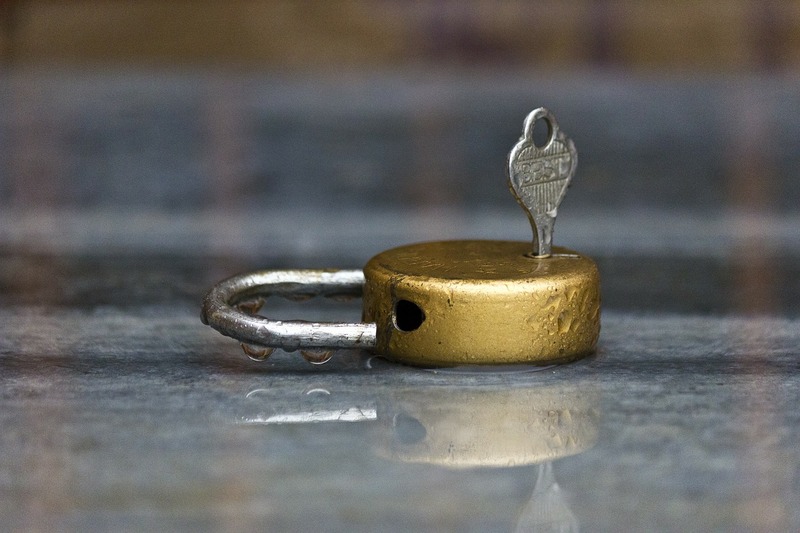 Please note these are how to install the newest pre-release; based on my experience with the current nightly pre-release masters available at http://nativescripts.rocks. Yes, we need to de-install the current version; trust me it is easier this way. The next thing you need to make sure is that you have your ANDROID_HOME and JAVA_HOME environmental variables set. If you don't have them set you will get WEIRD unrelated errors when trying to do things with the new version of the NativeScript command line tool. If everything worked fine; you should be able to do: tns --version and you will see the next version number plus "non-ci". tns platform remove android ----- WARNING!!! THIS WILL DELETE EVERYTHING IN YOUR platform/android folder. If you have anything you customized (i.e. like the androidmanifest.xml file); you will want to copy it out first... WARNING!!!! Then you can run tns platform add android --frameworkPath=tns-android-master.tgz assuming the tns-android-master.tgz file is in the same folder where you are running the tns command. Please note the --frameworkPath is case sensitive; and you need to point it to the entire path wherever the tns-android-master.tgz or tns-ios-master.tgz files are located at. I typically put them in the parent folder that contains all my nativescript project folders, so then I can do tns platform add android --frameworkPath=../tns-android-master.tgz from any of the projects. The final piece is updating the common core (tns-core-modules-master.tgz). Now in some cases you can skip installing the new CLI & Runtimes and just use the core. I haven't tried to see if the new common core library is compatible with the older runtimes; but I in a lot of cases initially they are compatible, but close to the middle of the development they typically are now relying on a new feature exposed in the the runtimes. So it is always safer to keep the updated together. And you are now running on the latest masters! This entry was posted in Uncategorized on September 15, 2015 by Nathanael Anderson. For those who would like to live on the bleeding edge; I have started the process of having one of my servers build each of the different NativeScript repo's nightly from the master branch. You can now download any of these from NativeScript.rocks. The Android runtime does automatically have my LiveSync patches; so you will be able to use any of the masters with my LiveSync plugin. This entry was posted in Uncategorized on September 14, 2015 by Nathanael Anderson. Since the subject of Fonts has been causing issues for multiple people in the NativeScript community I figured I would write up a post on how to do it. 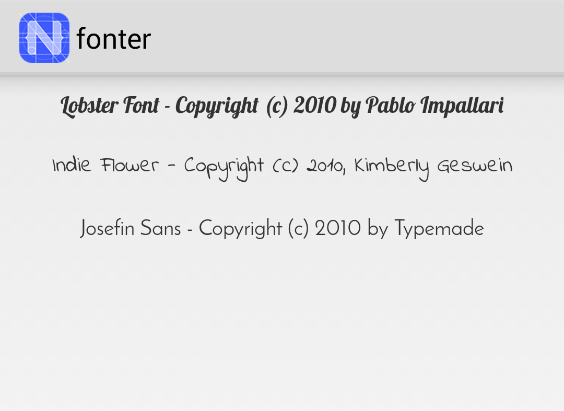 tns create project fonter -- then cd fonter and tns platform add android or tns platform add ios. Now your project is ready to go. I deleted the app/main-page.js and the app/main-view-model.js in this sample app, since they are not needed. 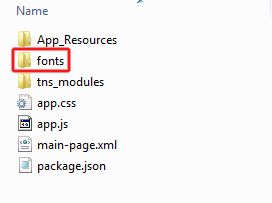 This folder MUST be named the exactly "fonts", no upper case letters. 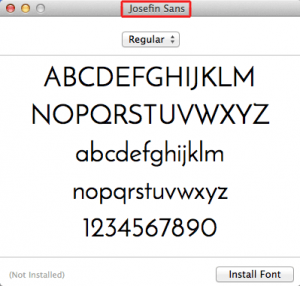 It must be all lower case letters, exactly "fonts". 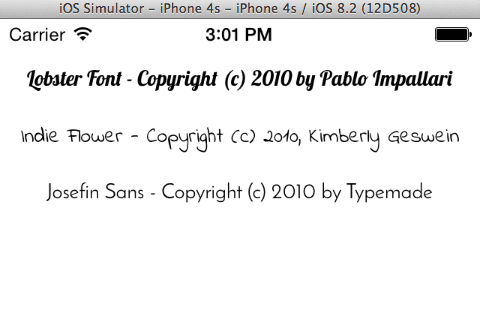 You might notice; the font-family name is the EXACT SAME SPELLING and EXACT SAME CASE of each of the file names. The only thing that is removed is the .ttf extension. This is REQUIRED for Android. 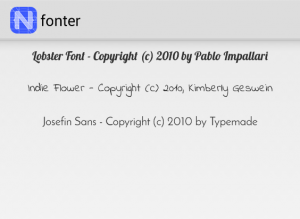 Android will automatically load the file (with the .ttf) referenced in the font-family from the fonts folder. On iOS we have to do something slightly different; we have to register them before use. If you open up the app.js file, you need to add the following code to it, as you see just BEFORE the application.start(). Again, you will notice the file name is spelled and cased exactly the same as the file name on in your fonts folder. This is important! However you name the file; both the iOS registration and the android css declarations MUST be exactly the same. So now we want to try the code. tns run ios --emulator or tns run android --emulator. On Android everything should work perfectly and you should see something like this. Do you see what I added. I appended the actual font name to the font-family. The ORDER is important. On Android because it does auto-registration of the fonts, it will load and register the FIRST font, and then it is happy. On iOS it doesn't see the first font so it just ignores it and then sees the SECOND font and then it is happy. So now when you do a tns run ios --emulator you should see this. 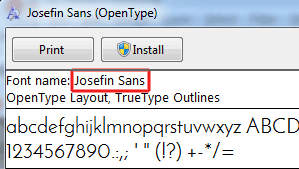 The fonts/fonts.json file is just the font information for the fonts from the google code project; I wanted to make sure the copyrights information was in the same folder as the fonts in case someone finds the sample elsewhere. This entry was posted in Uncategorized on September 4, 2015 by Nathanael Anderson.